Important: Based on player feedback gathered during the public tests, it has been decided to remove this feature from the upcoming update. Read our official announcement for more information. Previously, emblems and inscriptions were applied on vehicles solely for aesthetic purposes. Practical benefits could be linked only to camouflage patterns, which improved the tank’s concealment in battle. Soon, emblems and inscriptions will become as useful as camouflage. After the update, emblems and inscriptions will have a new purpose: now they will give you the opportunity to not only stand out from the crowd, but also to get bonuses to the major qualifications of your crew. These bonuses will be applicable to all crew members (affecting all of them), or to individual tankers (affecting a specific crew member). Permanent bonuses – bonuses to major qualifications which apply for the entire battle. Temporary bonuses – bonuses to major qualifications that start working after meeting specific conditions in battle. Important! All emblems and inscriptions applied to vehicles before will remain on them. Moreover, bonuses to the major qualifications of the crew will work regardless of whether the inscriptions or emblems were applied to the vehicle before or after the update. How do bonuses to major qualifications work? Each emblem or inscription applied to a tank adds a specific bonus to major qualifications. Bonuses for all crew members influence the whole crew and, depending on the activation conditions, they may add either +1% (permanent bonus) or +2% (temporary bonus) to a major qualification of the whole crew. Individual bonuses work in a similar way: +2% for bonuses that are active permanently and +3% for bonuses that are active after meeting certain conditions in battle. Activated bonuses will be displayed beside the major qualifications levelling scale. There can be a maximum of two emblems and two inscriptions on a vehicle. Bonuses from different emblems and inscriptions will stack with each other in the event they give bonuses to the same crew members or the whole crew. 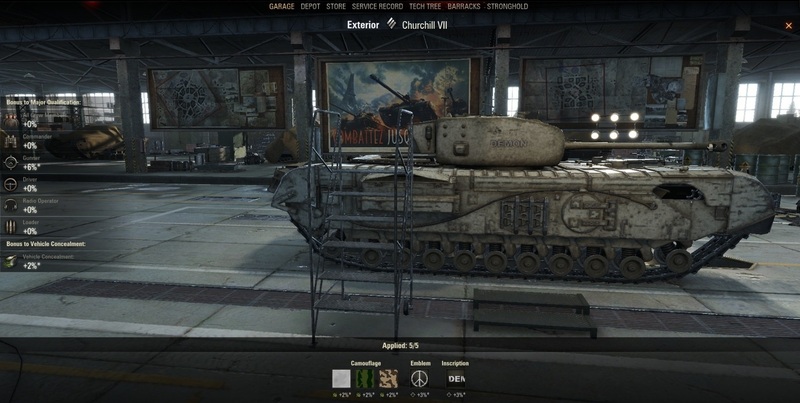 An emblem or an inscription that gives a bonus to a specific crew member will work for all crew members with the same role (two loaders in the E 100, for example). If a specific crew member has multiple roles (for example, being a commander and a radio operator at the same time), bonuses are summed up with specific qualifications. For example, for applied inscriptions and emblems there is a bonus +3% to the major qualifications of a commander, +2% to major qualifications of all crew members and +3% to radio operator qualifications. All in all, a commander will get +5% to major qualifications.This number will be displayed on the major qualification level scale. In addition, that crew member's second role, which is Radio Operator, will also get a bonus of +5% to major qualification. 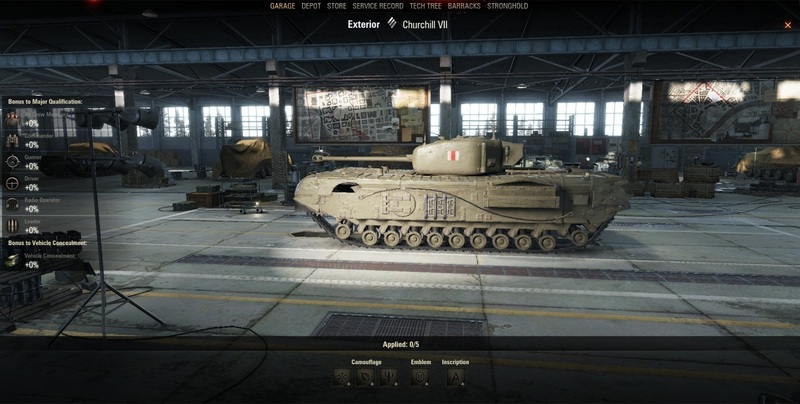 How will you customise your tanks, Commanders?